The saint’s death 20 years ago coincided with a young Catholic journalist’s entry into the craft. The death of Mother Teresa was my big break, if I might put it that way, into Catholic journalism. In the summer of 1997, I had written my first few pieces for the National Catholic Register. I was a seminarian who needed money for a pilgrimage to the International Eucharistic Congress that year in Wrocław, Poland, and the editor at the time, Joop Koopman, engaged me — based in those pre-internet days on nothing more than a begging letter I had written him — for some reports filed from the site. Mother Teresa died on the Friday before the Labor Day weekend, and the Register was caught short, not having the principal obituary piece ready to go. The editors spent the day trying to reach a major Catholic writer to do it, but — again, pre-internet — could get no one on a Friday afternoon before a holiday. Desperate, they called me, as I had done some other writing for them after Poland. 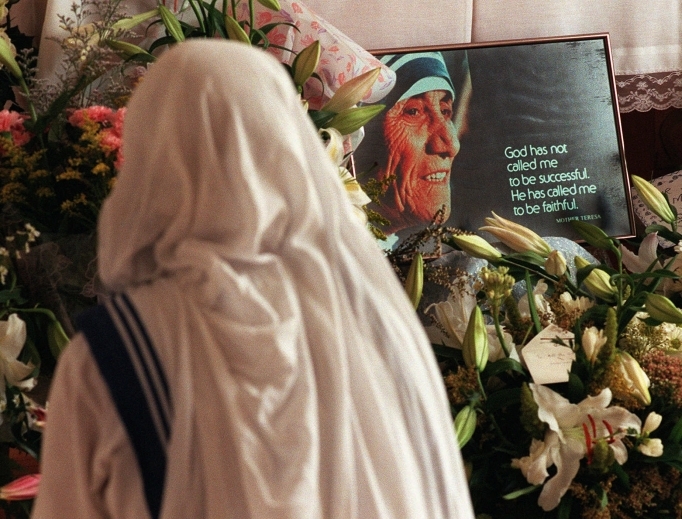 I told them I would be honored to write on Mother Teresa, but didn’t know enough about her to do the subject justice.